The team here at HPP Group believes that our customers should not be limited by stock colours, shapes and sizing when it comes to remodelling their kitchen. We supply everything you need for your new kitchen cabinets in convenient flat packs. Flat pack kitchen cabinets are a great way to keep your kitchen renovation within your budget while still getting the kitchen of your dreams. Having your dream kitchen doesn’t have to break the bank, out flat pack kitchen cabinets Brisbane offer the perfect, affordable solution. Thinking of just giving your kitchen an update or facelift? We’ve got the solution for that too. If you wish to keep your existing kitchen cabinets and structures, we can provide you with precision cut doors, drawer fronts and bench tops to give your kitchen a fresh, new look at an affordable price. No matter how or why you want to update your kitchen, there are many benefits to having a completely customized one from HPP. When it comes to kitchens, there is no one size fits all solution. Every kitchen space is unique as is the owner’s style and preferences. Our flat pack kitchen cupboards and other structures are cut, drilled and designed specifically with your space in mind. You choose every element of your kitchen to make it uniquely your own. Is your kitchen a bit unconventional in size or shape? Is your layout not conducive to the standard option cabinets on the market? 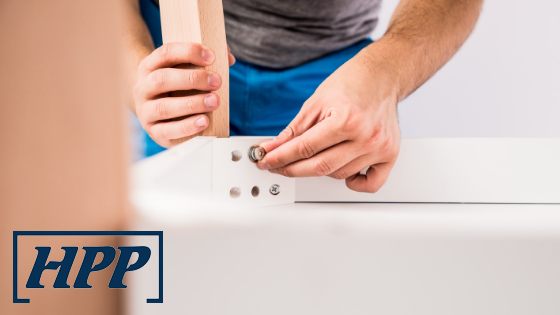 If this is the case, you don’t need to deal with less than perfect fitting cabinet or unsatisfactory storage solutions, HPP can custom cut your cabinets to the exact size and dimensions that your space requires. We can help you to create a kitchen layout that is conducive to your lifestyle and your kitchen needs. We help you make use of all your kitchen space to maximize efficiency and functionality. One of the biggest objections we hear from people who wish to renovate or update their kitchen is that they simply can’t afford it. Luckily, HPP offers the option of DIY cabinets in convenient flat packs that were designed specifically for your kitchen at prices that every Brisbane resident can afford. We pride ourselves on offering the widest variety of flat pack kitchen cabinets Brisbane has to offer. From colours, materials, finishes and hardware, we find the solution that suits both your style and your budget. Aside from the bathroom, your kitchen is the most utilized room in your home. It is the place where your family gathers to eat, drink, cook and enjoy one another’s company. You want your kitchen to be a place that is not only practical and efficient but a space that looks great and reflects your personality. With the help of HPP Group and our flat pack kitchens, you can have the look, feel and functionality that you desire, at a price you can afford.